This week I have revived two old series I used to do, first back in 1999 ish and again 2006. Originally I sold them with crystals. I am just giving a heads up instead of individual posts as currently working flat out for stupid hours yet again through no fault of my own...un amused doesn't come close to covering it! The Angels are a joy to paint, working with their graceful elegant forms of my previous series design, on aura or cloud based backgrounds, really uplifting with stunning colours and floating gold powder. Some will make an appearance on eBay when available, and some in my Etsy Shop. 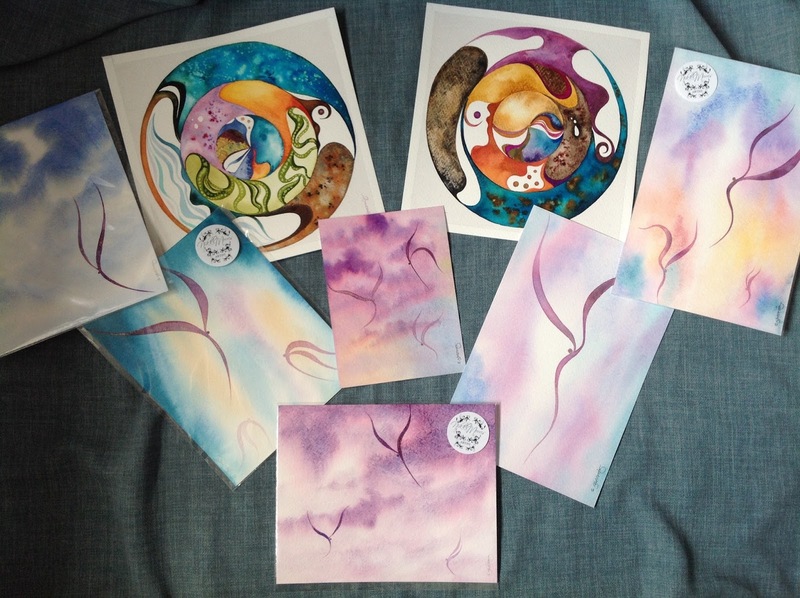 Around the same time I painted Mandalas, sometimes as ACEOs (I had one left which is currently on Etsy which is what served to remind me), some as paintings and some on soft canvas. I have painted a couple of new ones as I find them relaxing, and inspirational to paint. More on the abstract modern side, I follow my intuition with a word in mind but also get to use the many paint techniques I have taught myself over the years to create unique one off mandalas with a very contemporary look and feel, but with a lovely energy and interest to stare into. These will also be released firstly on eBay (on 15.06.17) then possibly on Etsy thereafter, these may be the only ones, who knows! Currently focusing on what I want to paint on a very day by day basis till things settle down, if they ever do!